What is it to be Worldview Intelligent? Individuals, organizations and communities all have worldviews. They operate at least 80% unconsciously and impact how individuals, organizations and communities see and interact with the world, events, situations and other people or organizations. Worldviews influence relationships, communication, tension or conflict, decision-making and workplace cultures. To be Worldview Intelligent means honing your skill and capacity – or that of your organization to invite and work with a multiplicity of worldviews. This rapidly evolving body of Worldview Intelligence™ work generates a deeper understanding of worldview, how worldviews are developed and why understanding them and growing the skill to work with them creates a fundamentally different environment for some of today’s most challenging conversations. To be Worldview Aware is to feel, experience or notice that worldview(s)exist, individually, organizationally, in community and across stakeholder groups. It is knowing and understanding more about what is happening in the world, locally, regionally and globally, by being or becoming aware of worldviews – first your own and then, with curiosity and compassion, someone else’s. An individual, organization and/or community that is worldview aware offers greater leadership potential and creativity that arises from the interaction of multiple worldviews, leading more often to innovative ideas or solutions and more diverse, welcoming, inclusive (work) places, more creative problem solving, planning and strategy development. 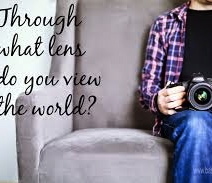 With some of our most entrenched issues and challenges in today’s world and the growing visibility of some of these issues (racism, discrimination, sexism, police violence as a few examples), Worldview Intelligence™ and becoming Worldview Aware may help us discover together pathways that do not currently exist. Letting go of what we know to discover what wants and needs to happen. You can follow the conversation at our Linked In group and or our Facebook group.